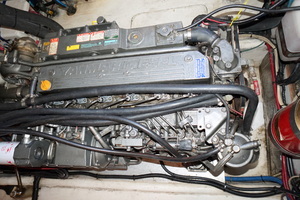 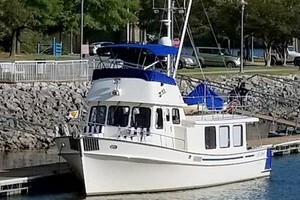 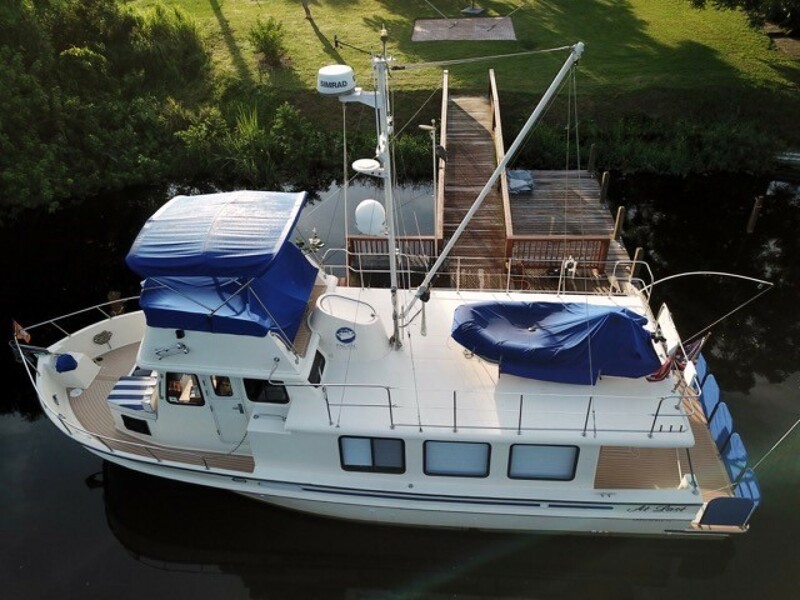 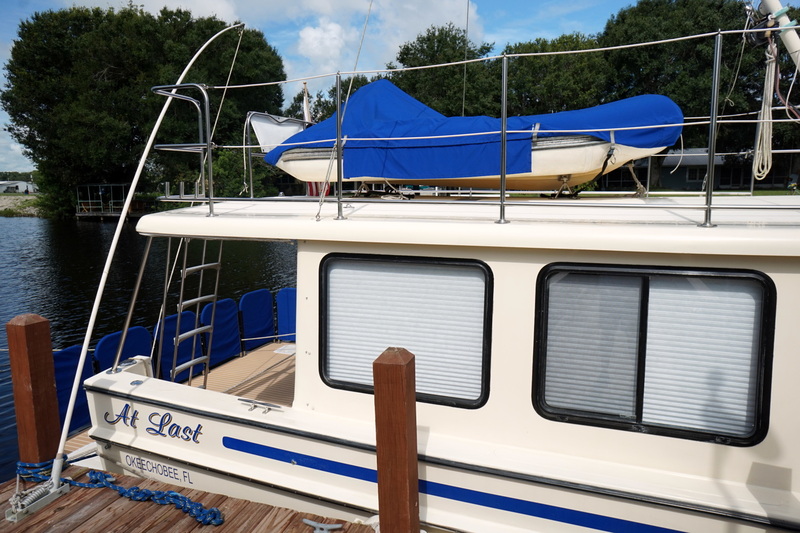 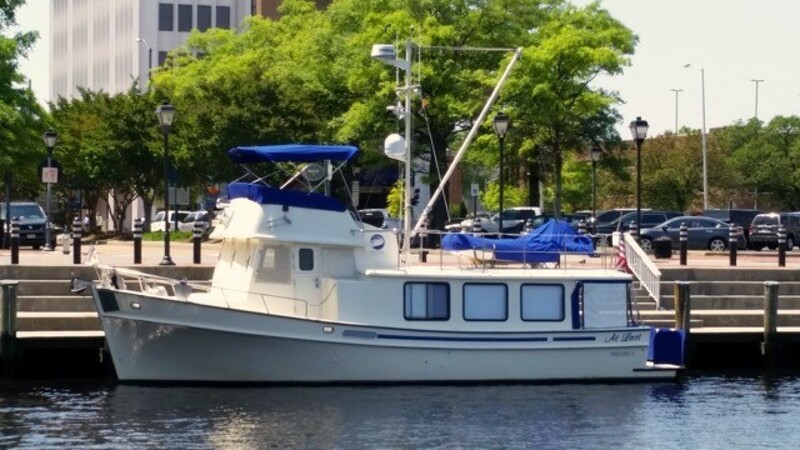 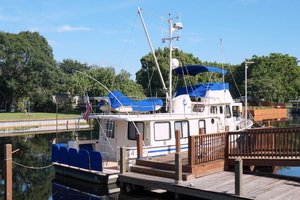 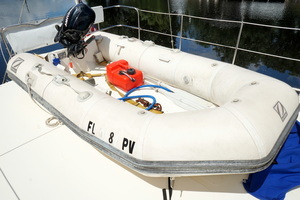 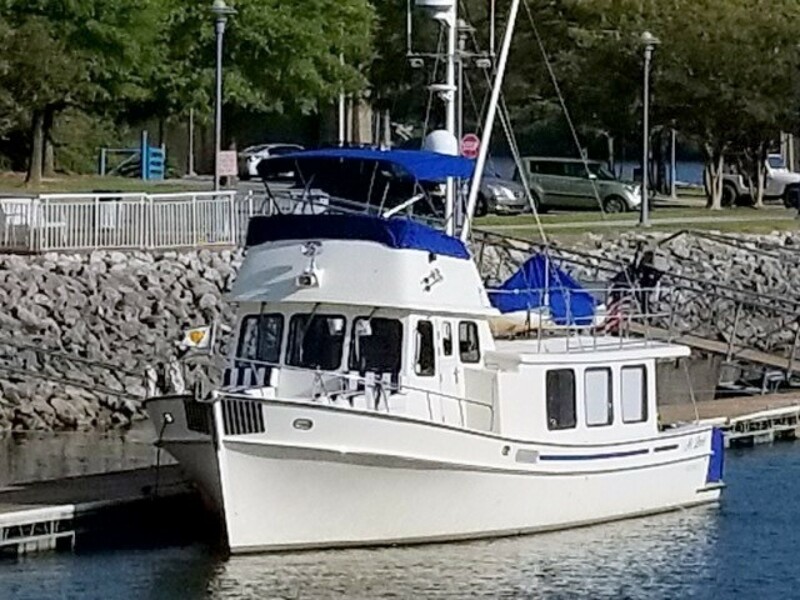 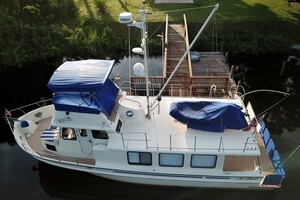 Be the next owner of this fine Off Shore vessel.LOOP Veteran and LOOP Ready! The Pacific Trawlers, well known for their high standards in construction - designed by Blaine Seeley. 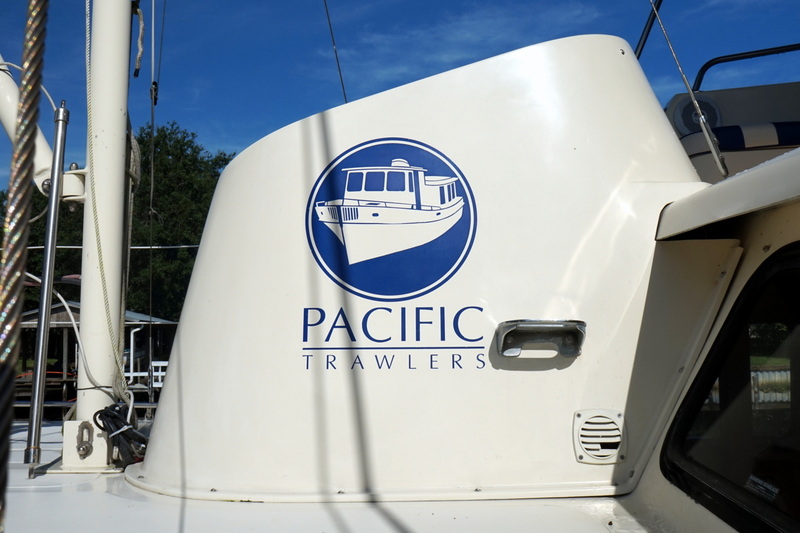 With their flared bow and wide stern, Pacific Trawlers are known for their sea keeping ability with a spacious and comfortable interior. 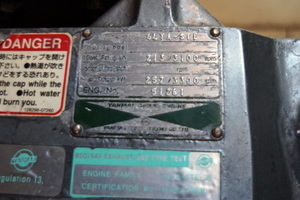 Compare to American Tug or Nordic Tug quality and style. 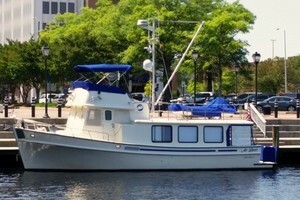 AT LAST 'Is the Perfect Couples Boat'. 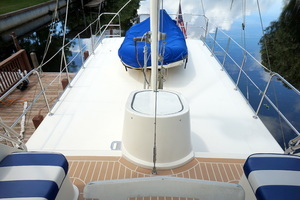 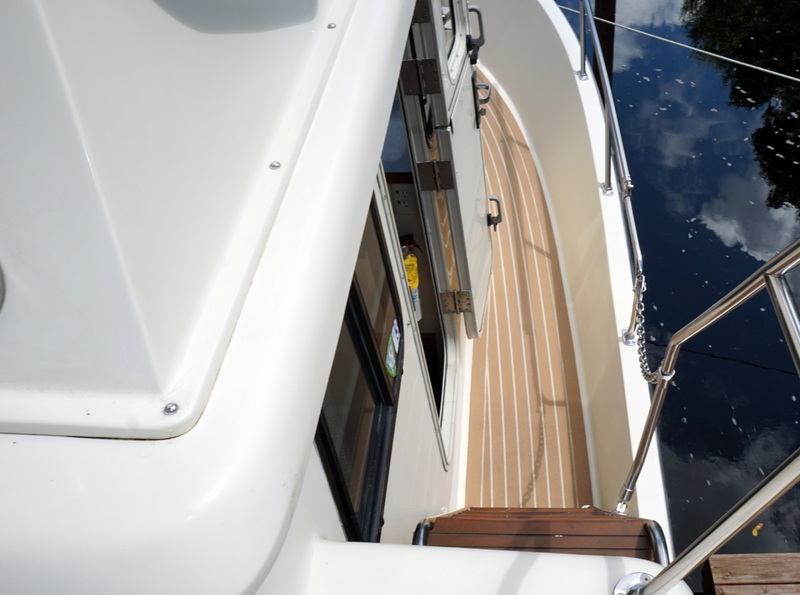 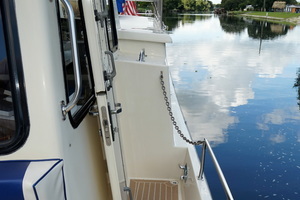 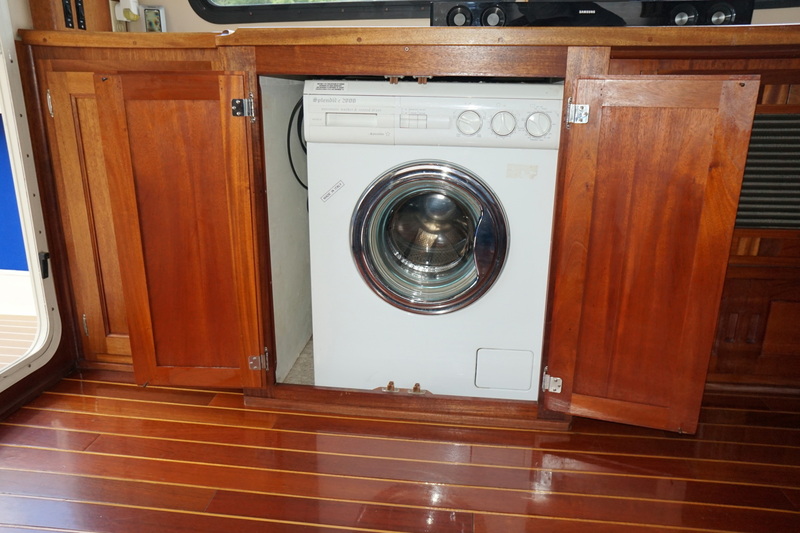 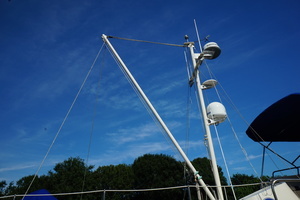 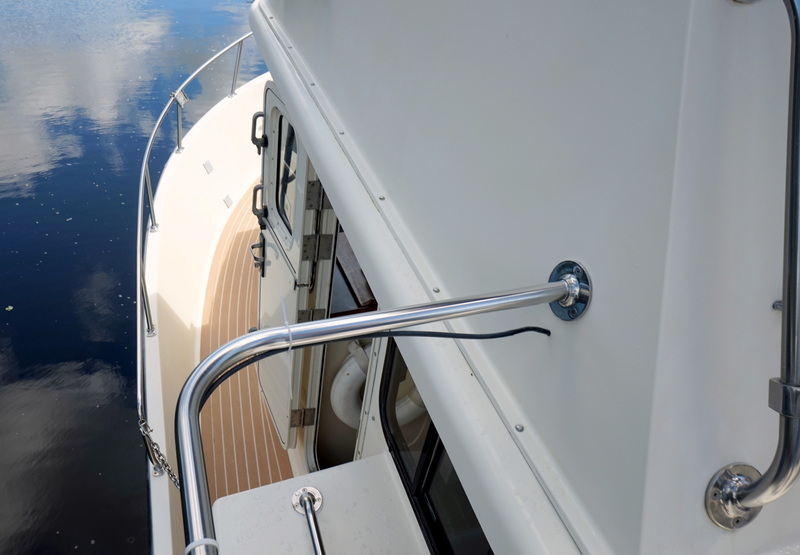 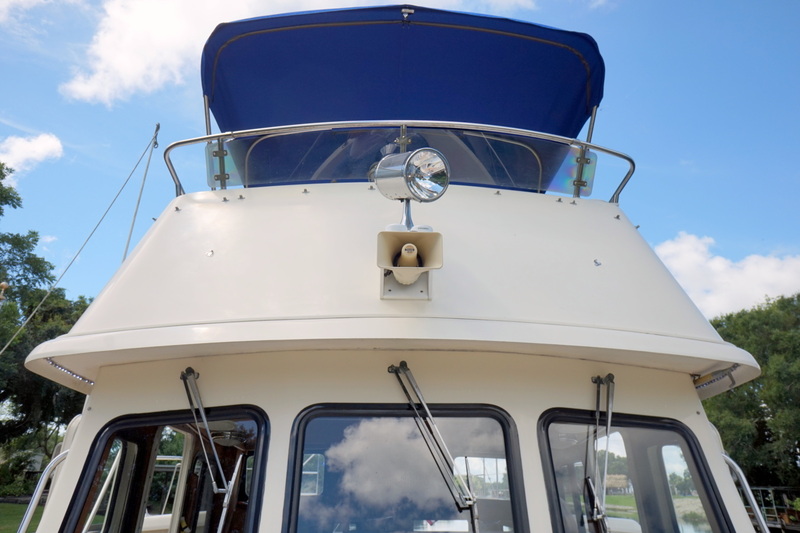 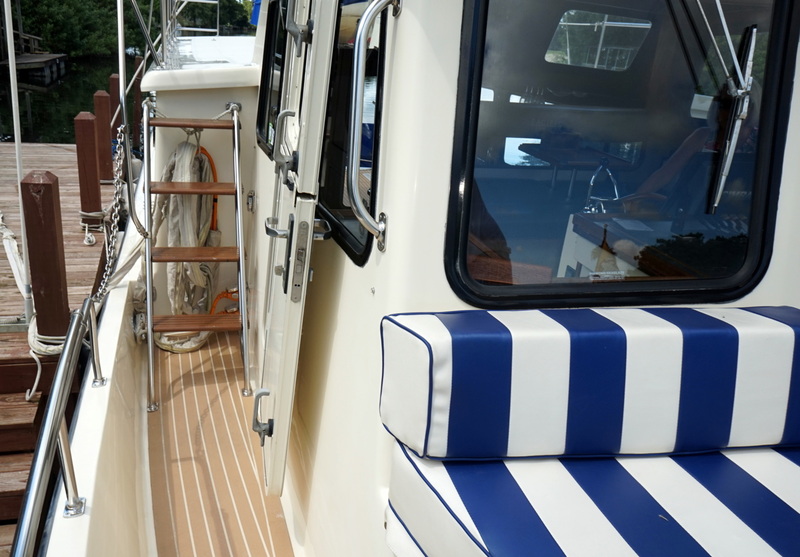 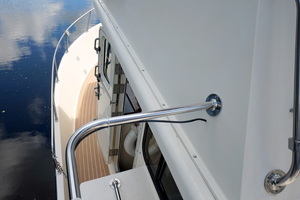 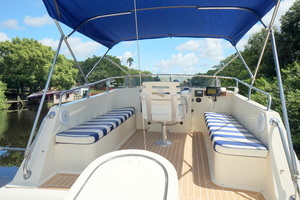 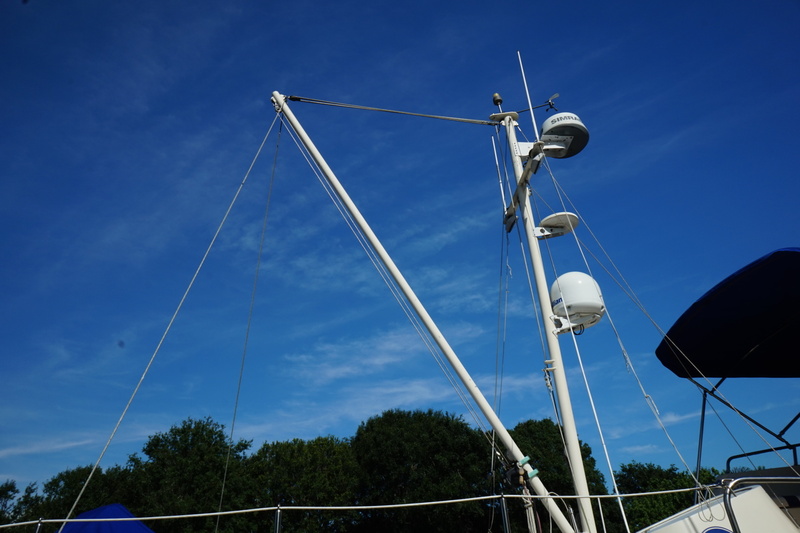 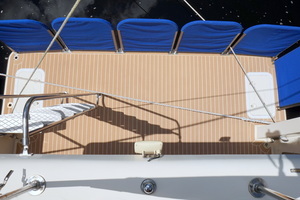 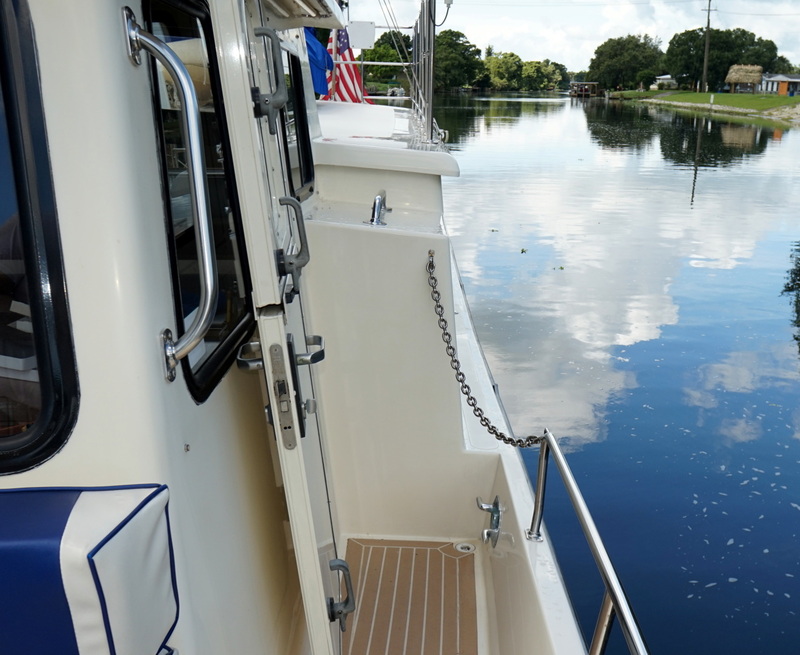 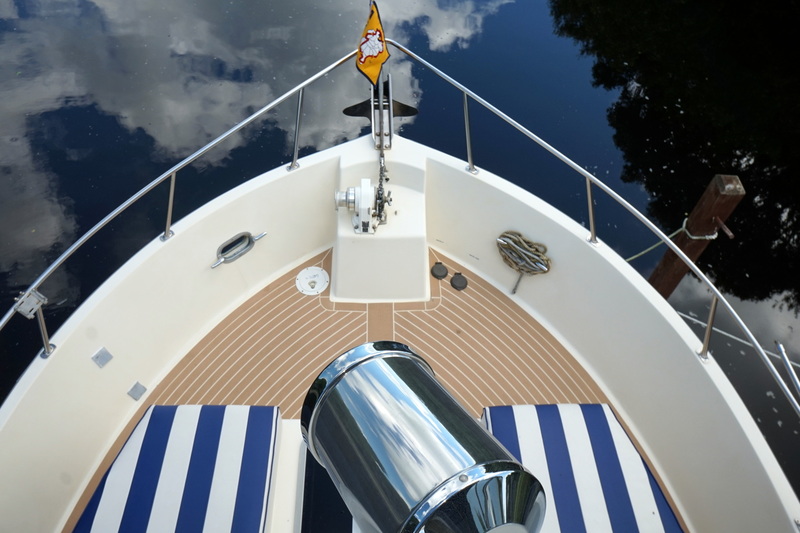 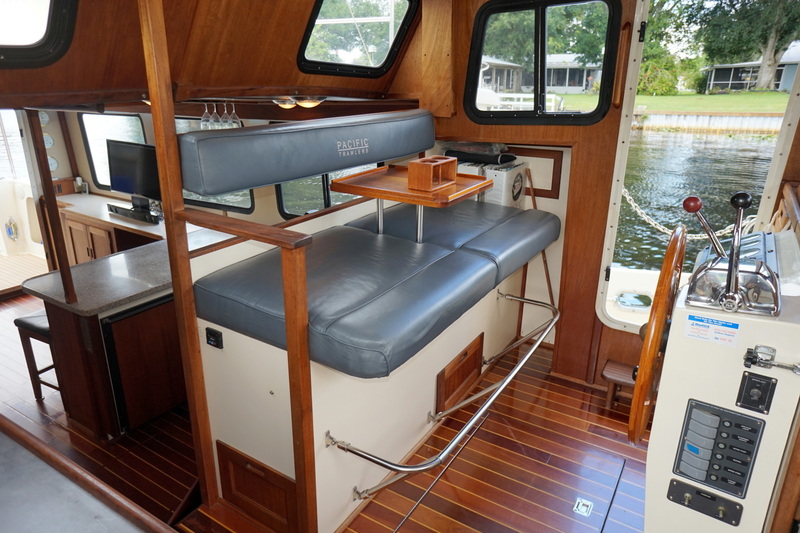 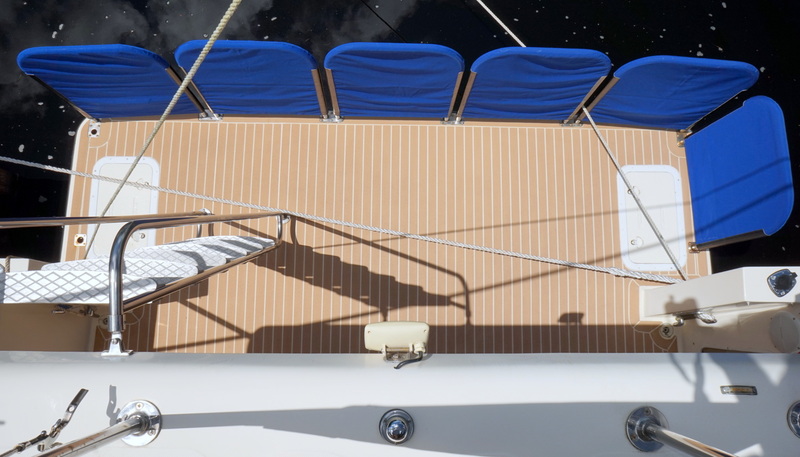 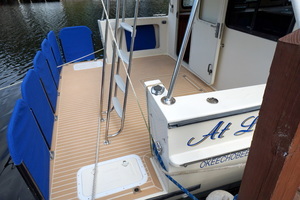 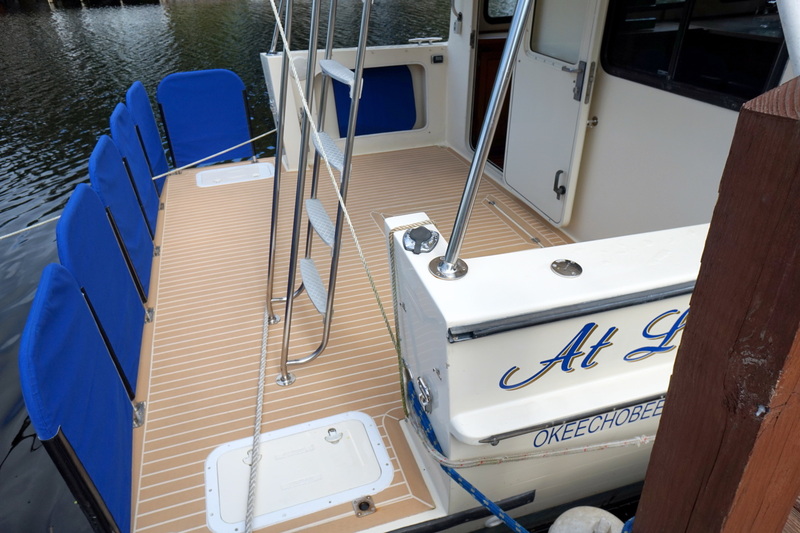 Step on board using the easy access of the open aft deck's stanchions. 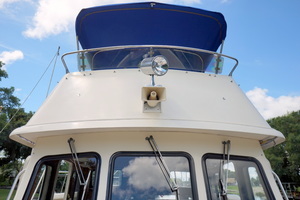 Either climb the ladder to the fly bridge or enter through the cabin aft door. 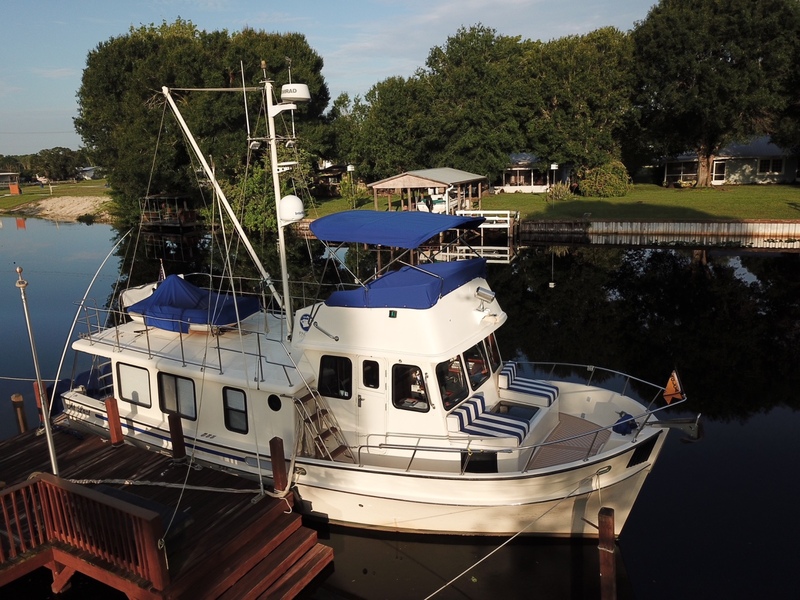 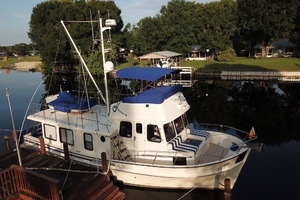 The large open Salon and galley cabin is a comfortable live-aboard space with wrap around windows and Brazilian Cherry and Holly sole. 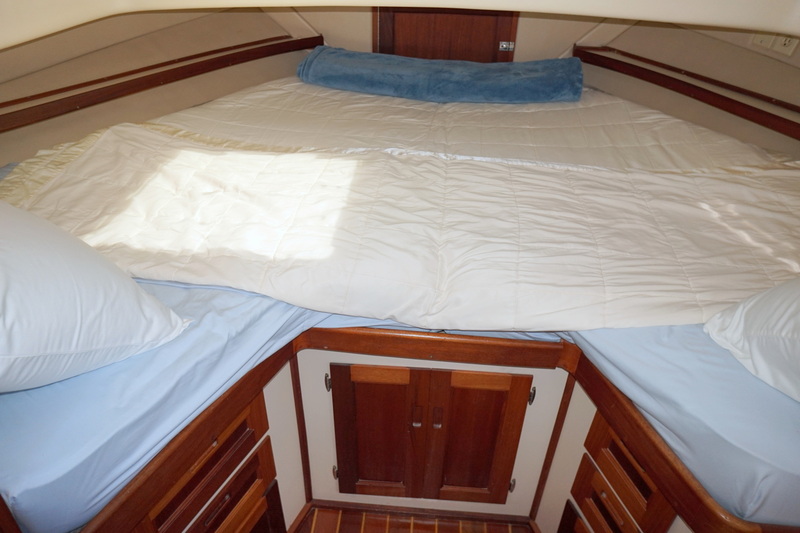 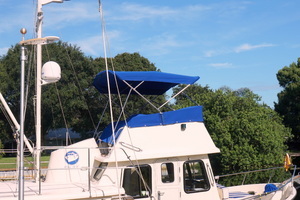 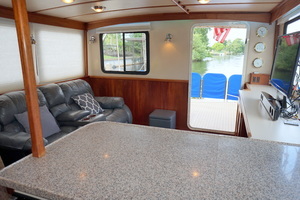 To Port, Mahogany storage and entertainment cabinets and to Starboard, a movable reclining lounge sofa. 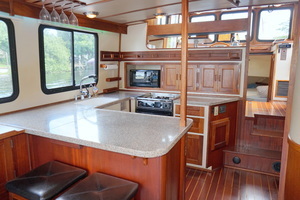 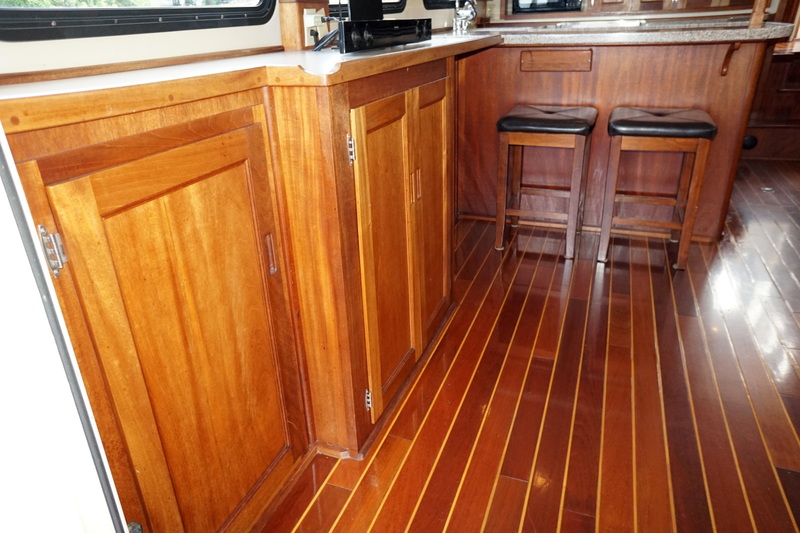 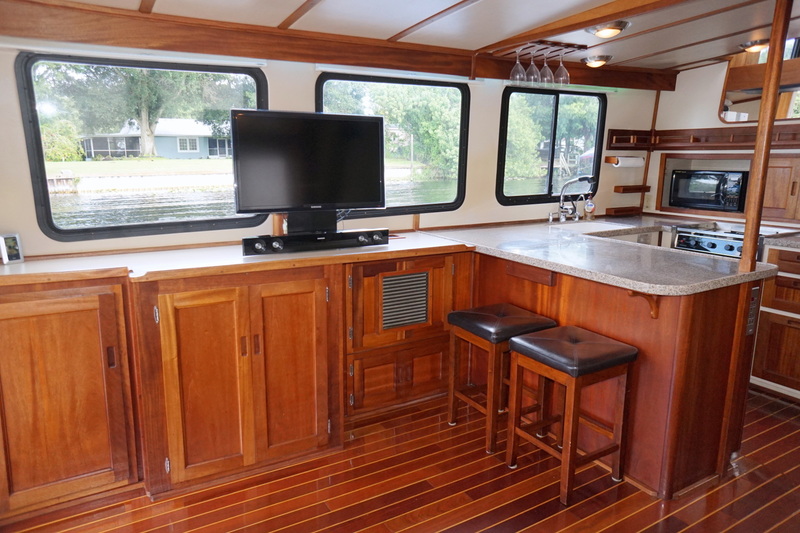 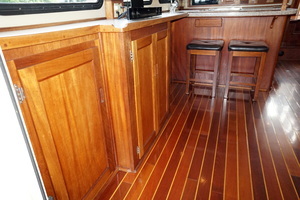 Port forward in the open space is the galley breakfast bar with two counter stools. 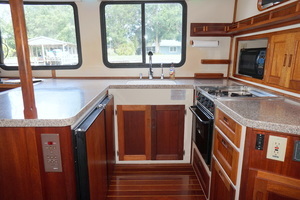 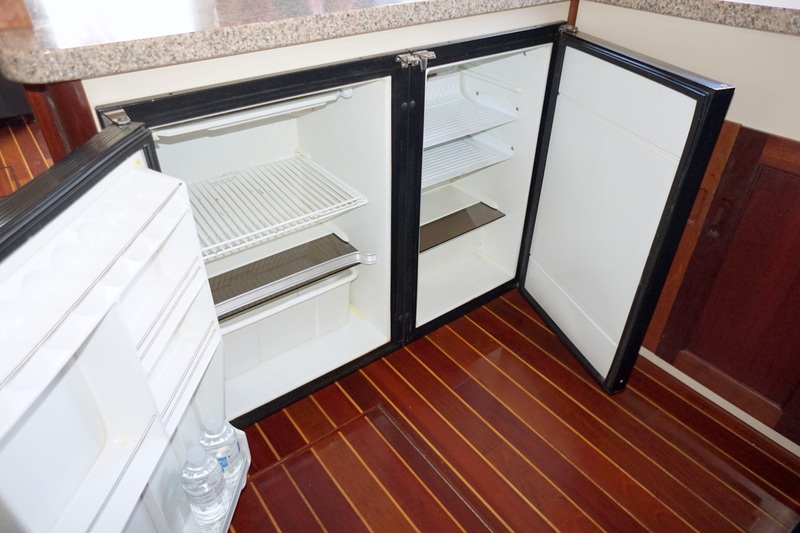 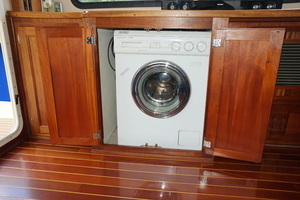 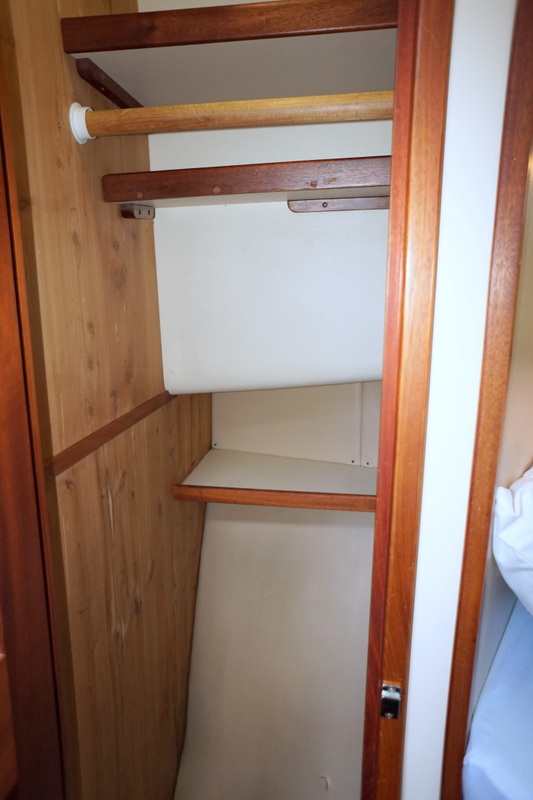 The generous galley with deep sink, oven and under counter separate fridge and freezer. 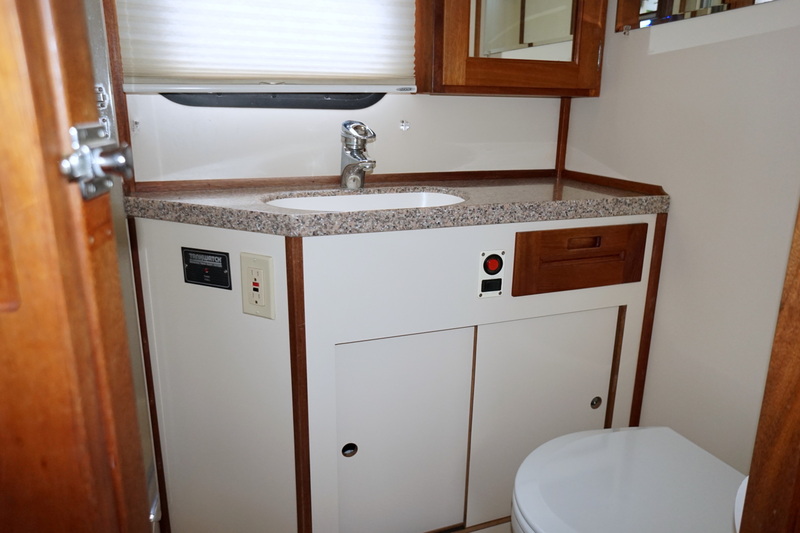 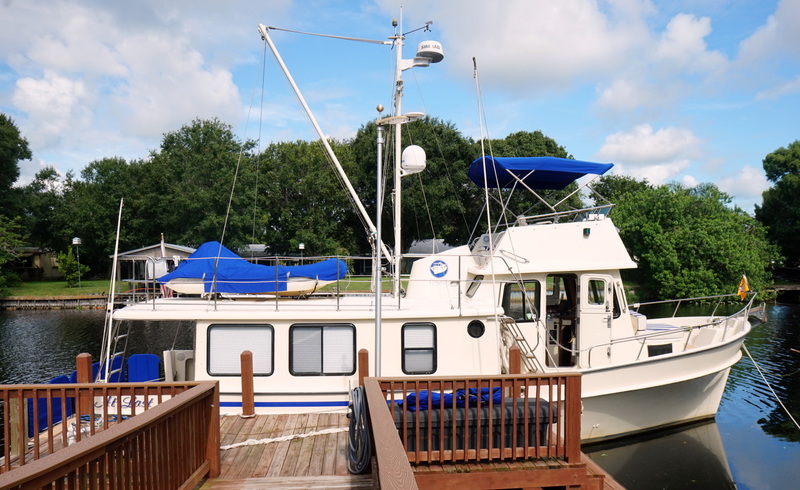 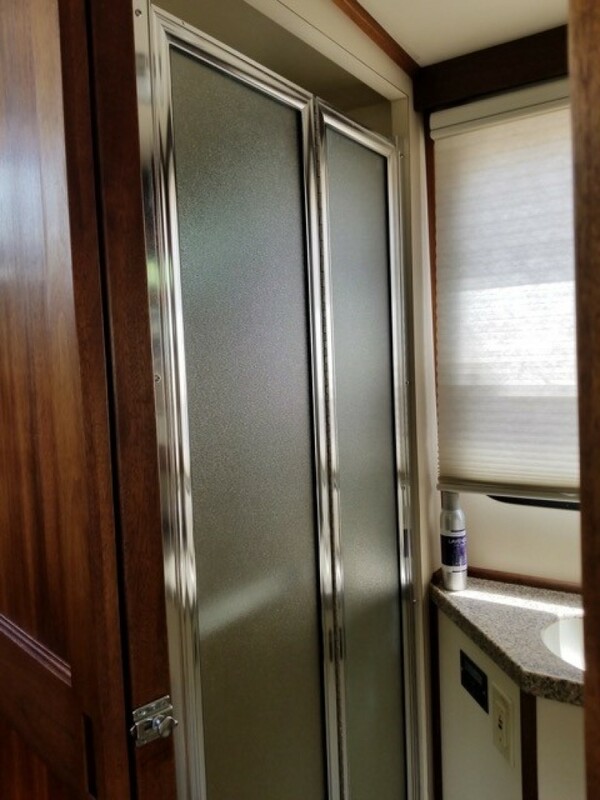 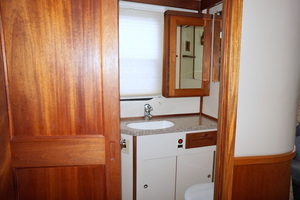 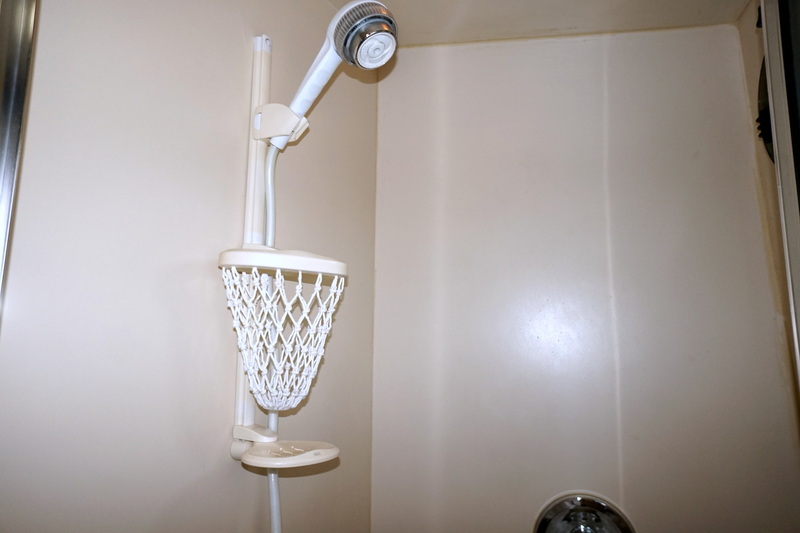 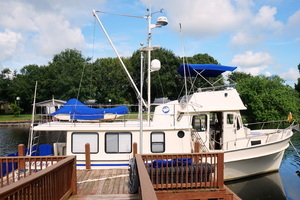 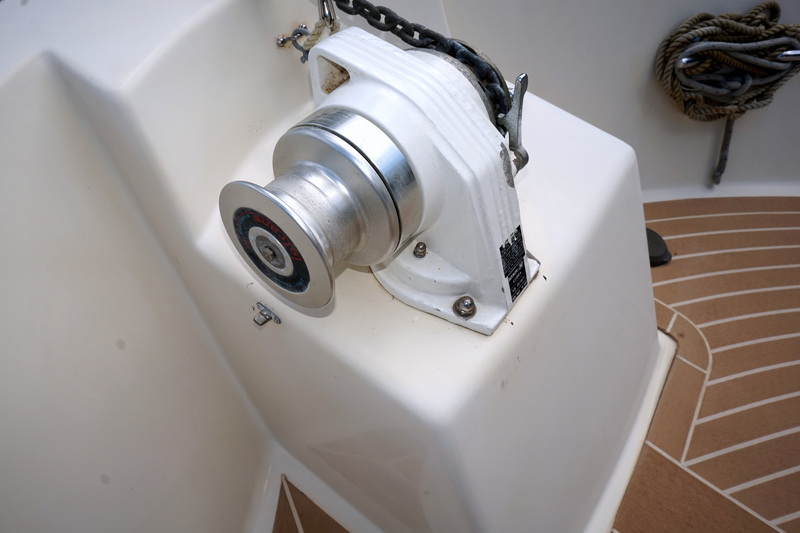 Starboard has the head with separate walk-in shower. 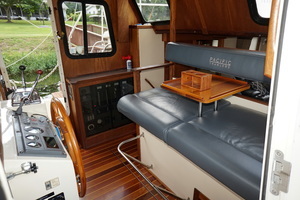 Amid ship enter the Pilot House and Bench seating with a traveling view. 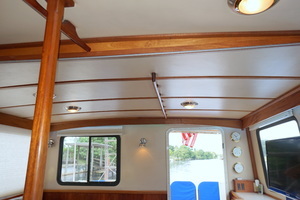 Port doors with split openings are port and stbd. 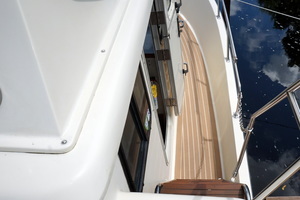 Going out the stbd door, either walk forward onto the forward deck or step aft and up four steps to the fly bridge. 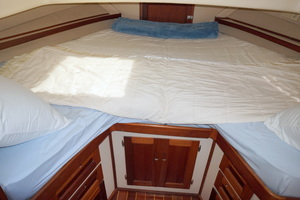 Forward, the Master Stateroom is filled with a King size V-Berth. 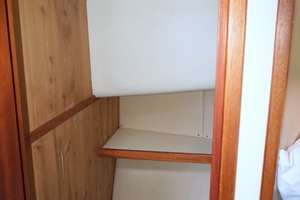 Hanging lockers and cabinets both port and stbd. 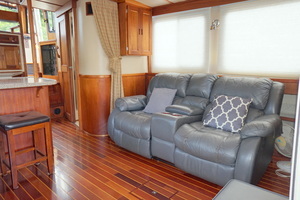 AT LAST has a warm, comfortable and welcoming Salon. The Pacific Trawler's build quality is continued inside with the Mahogany Cabinetry and the Brazilian Cherry and Holly flooring. 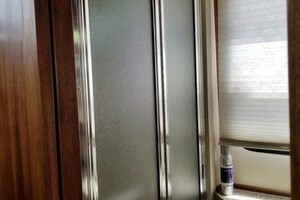 Wrap around windows have the "Top Down/Bottom Up" Shades bringing in sunlight or keeping out the heat. 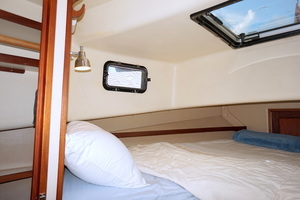 Two windows open to create a cross breeze. 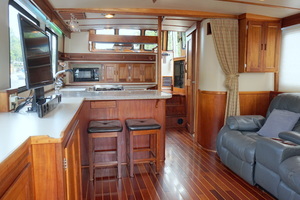 AT LAST's Galley is an extension of the open concept from the Salon. 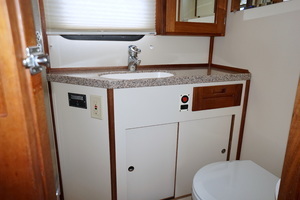 Corian in-lay to rest on top of the stove top when not in use. 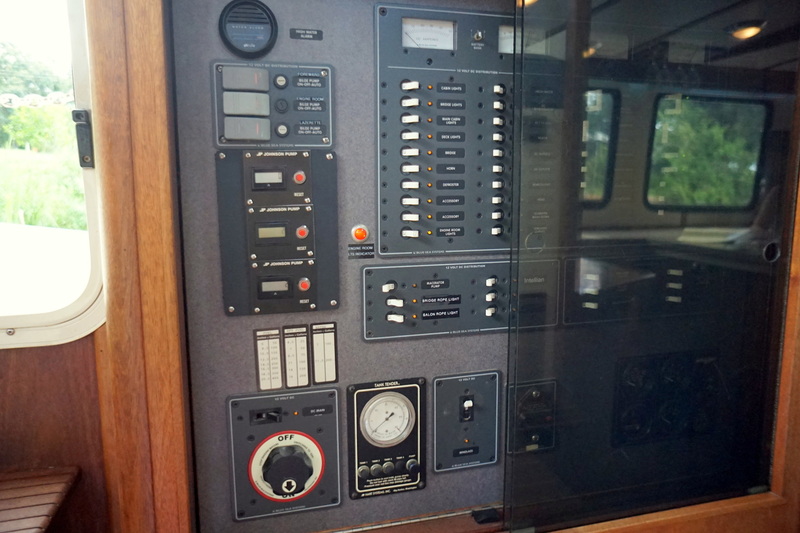 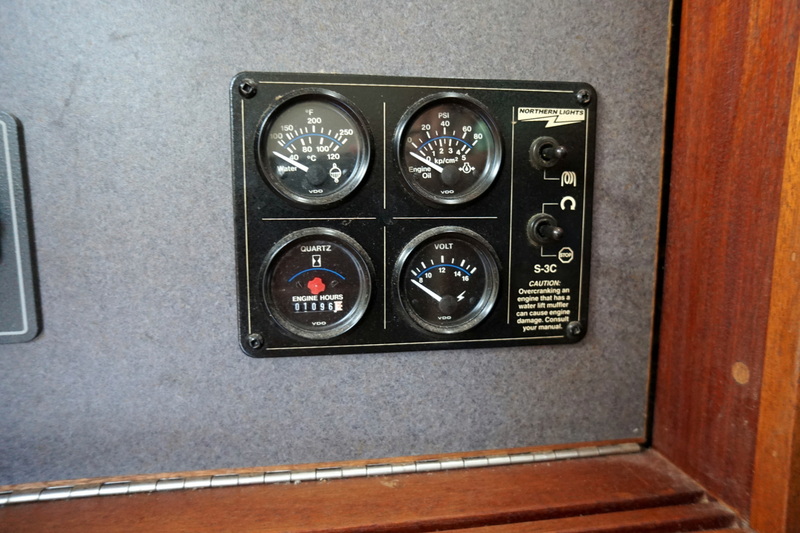 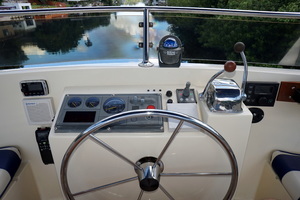 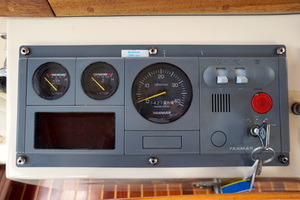 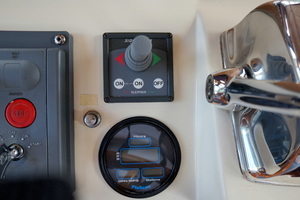 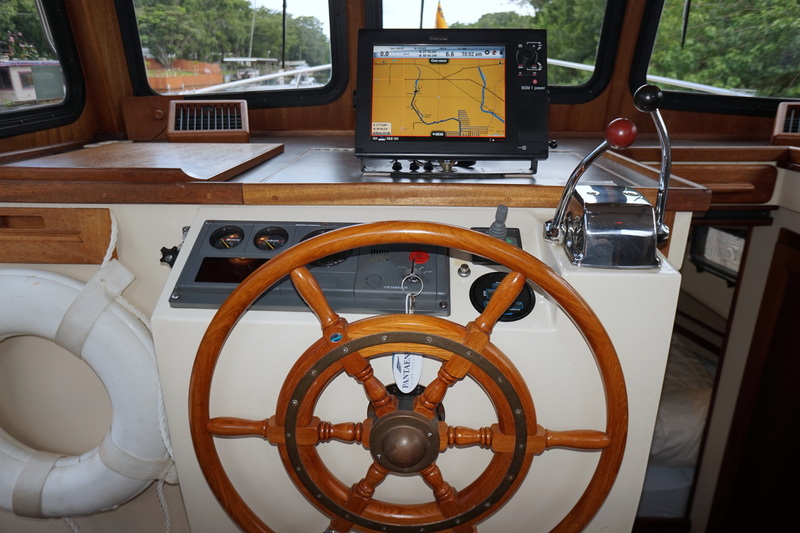 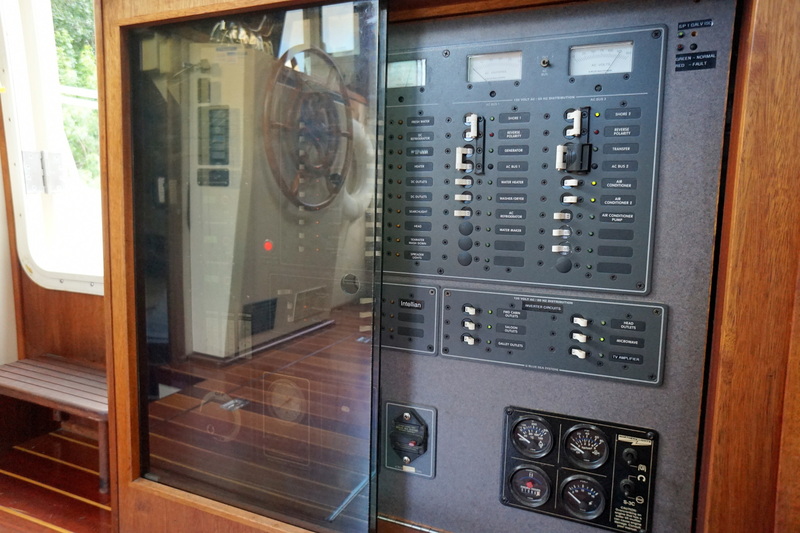 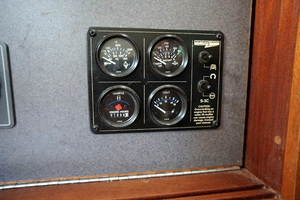 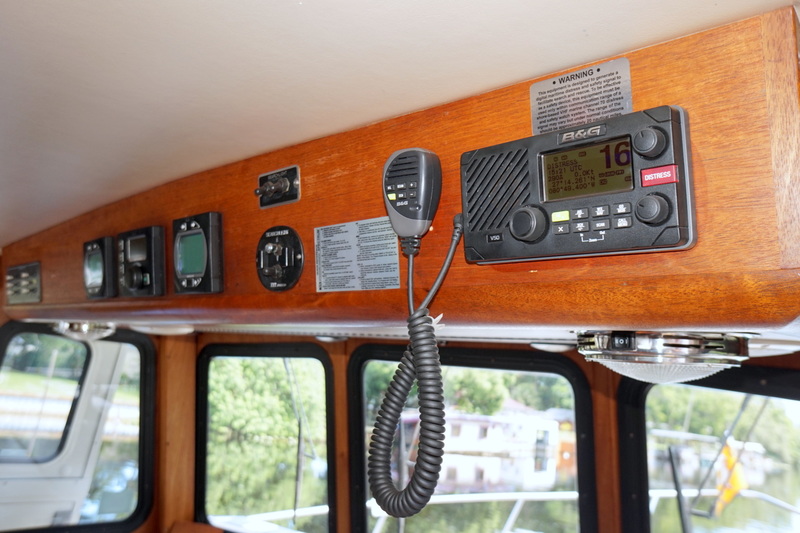 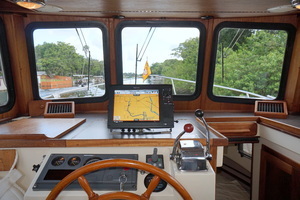 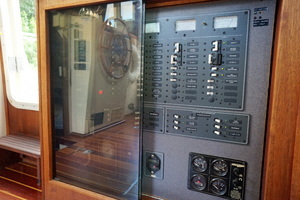 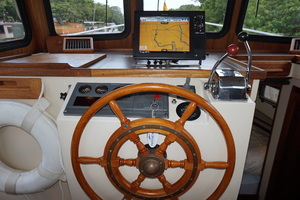 AT LAST has a pilot house that brings you to a mid-ship ease of control and visibility. 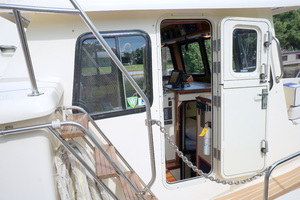 Heavy duty pilot house doors to port and stbd. 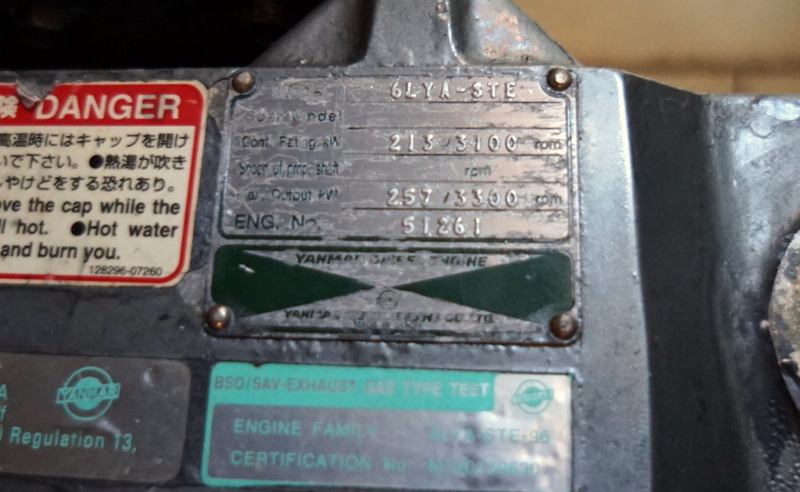 Diesel Tanks (2), Central 396 Gal. 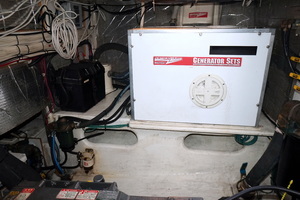 and Stern Tank 200 Gal. - Total: 596 Gal. 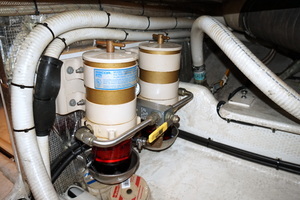 Fresh Water Tanks (2) 100 Gal. 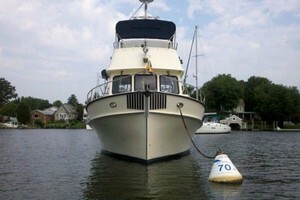 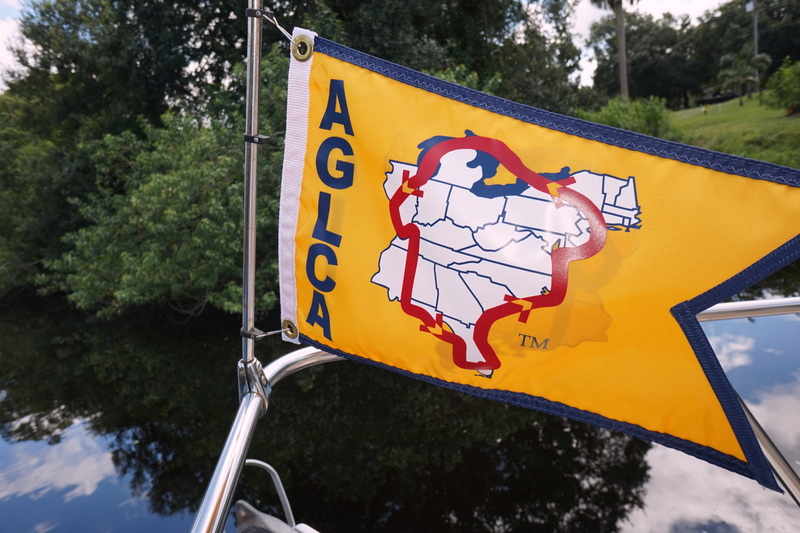 - Total: 200 Gal. Holding Tank (1) 60 Gal. 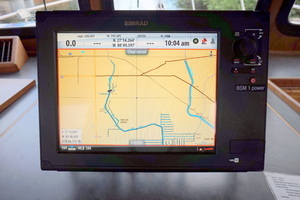 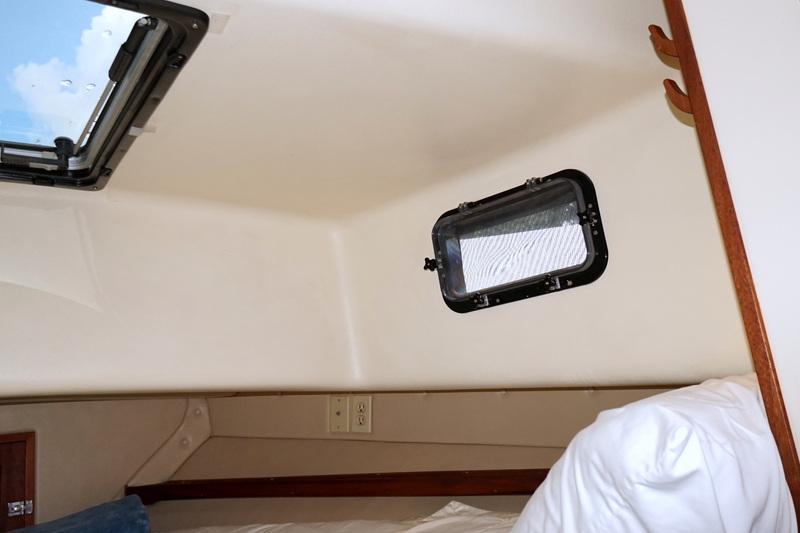 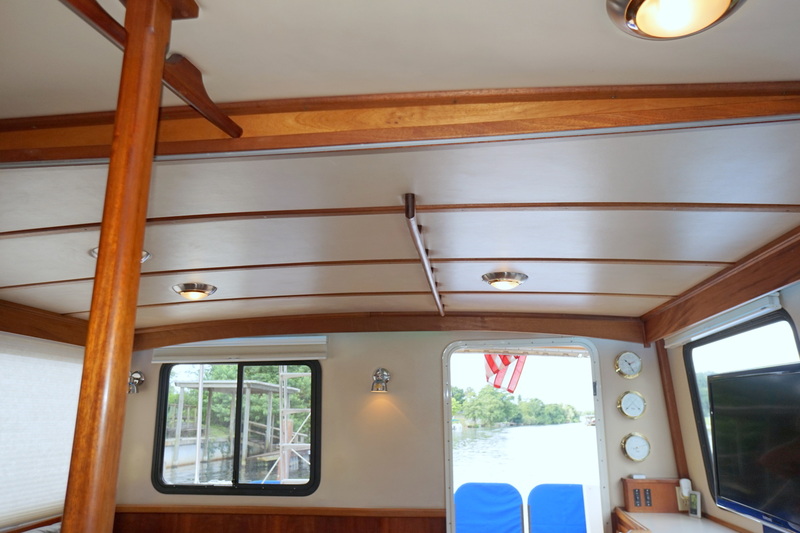 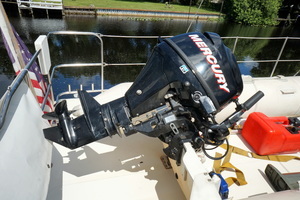 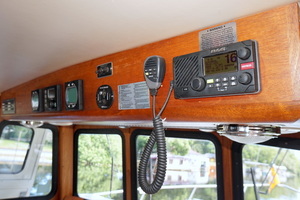 Open Transom - Excellent for fishing, diving or watching the sun come up or go down. 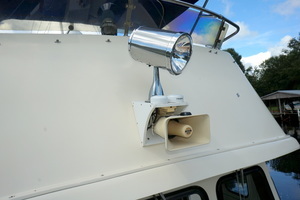 Exterior LED Lighting at Bow and under Hard top lip.